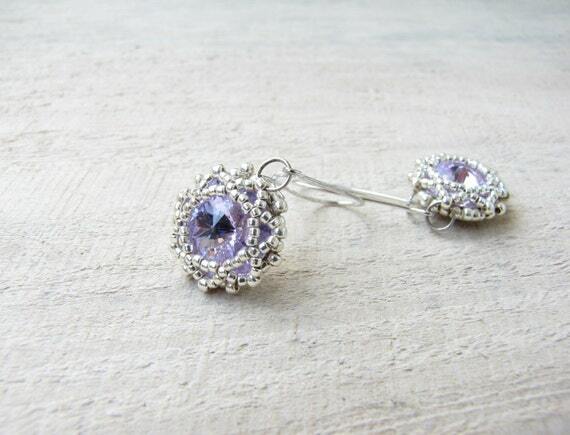 One of the most striking accessories that highlight the natural beauty are jewelry with Swarovski crystals (Swarovski Crystal). They are able to transform any woman , giving her more charm and glamor. 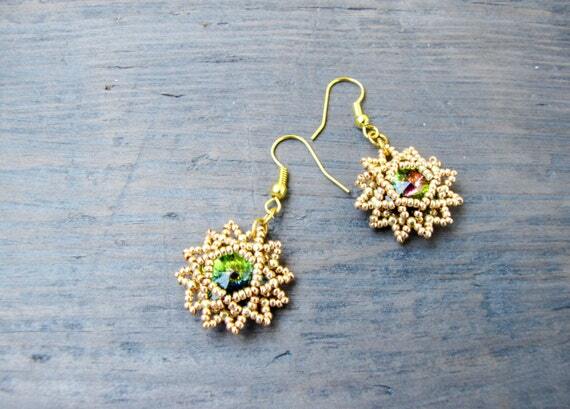 I also could not resist the temptation to make a few pairs of earrings with Swarovski Rivoli framed Japanese beads. In Rivoli Swarovski (Swarovski Rivoli) back side is covered with a metallic coating, and the face shines like a jewel. Jewellery with Swarovski crystals is known for unusual play of light , sophisticated design and a variety of assortment.